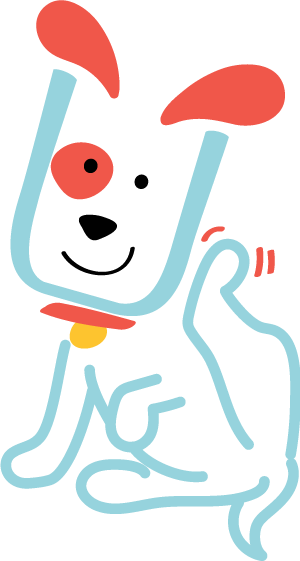 All dogs are collected from our meeting point near the Central tram stop in Zürich city. Then we make the short journey in our custom crated van to our play areas just 30 minutes outside the city in the beautiful Zürcher Weinland. Now the fun begins! 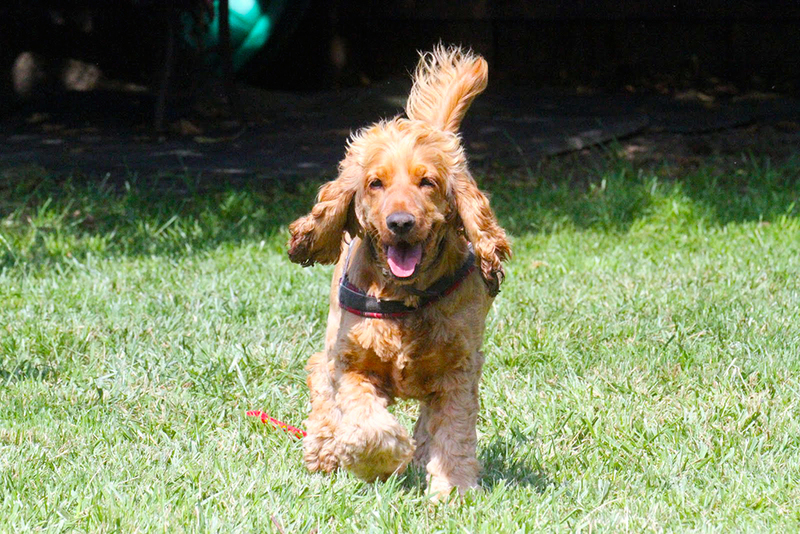 Your beloved pooch will have fun socialising, swimming, sniffing new smells, playing and running around with his furry friends in our large outdoor play area. Once tired out, they can curl up for a nap in one of our dog beds and enjoy getting belly rubs from us. 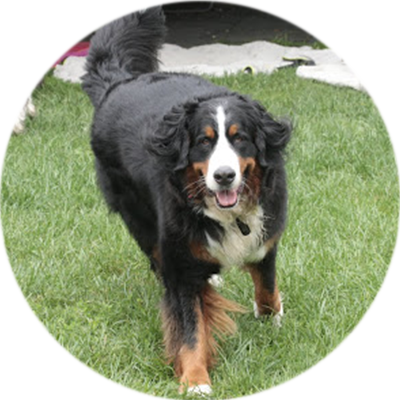 This high quality of care means you can enjoy your day knowing that your dog is in safe hands. At the end of the day, we will meet you again near the Central tram stop. Make sure to check our blog later that evening. 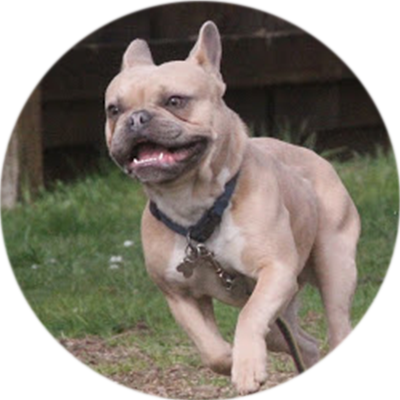 We post lots of pictures so you can see all the fun our dogs were up to! Please see our services & pricing page for cost. 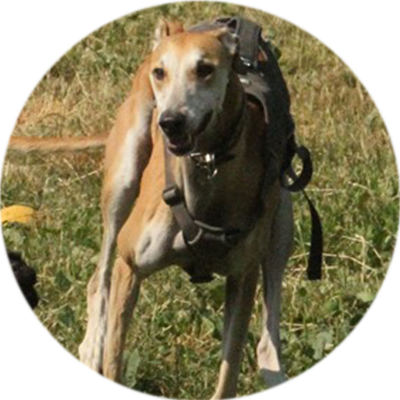 At Hunde Abenteuer Land, we believe that we have two customers – you and your dog. That’s why we make it easy for our clients by providing a convenient meeting spot near the Central tram stop in in Zürich city for you to drop off and pick-up your best friend. After you drop off your dog in the morning, we transport them in our custom crated van to our play areas just 30 minutes outside the city in the beautiful Zürcher Weinland. Where is the pick-up and drop off location? The meeting point is near the Zürich Central tram stop. 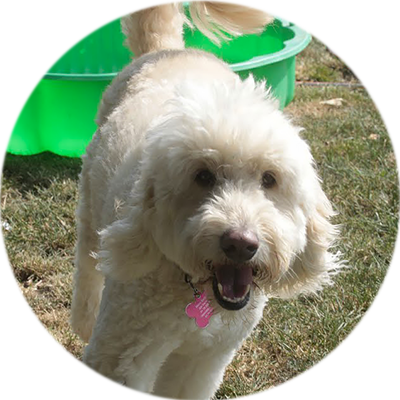 We will be waiting to pick up your furry friend in the morning Monday- Friday between 7:45 and 8:15 am. We will meet you again between 5:45 and 6 pm for you to pick them up for the evening. Why is it important my dog does a “trial day” first? 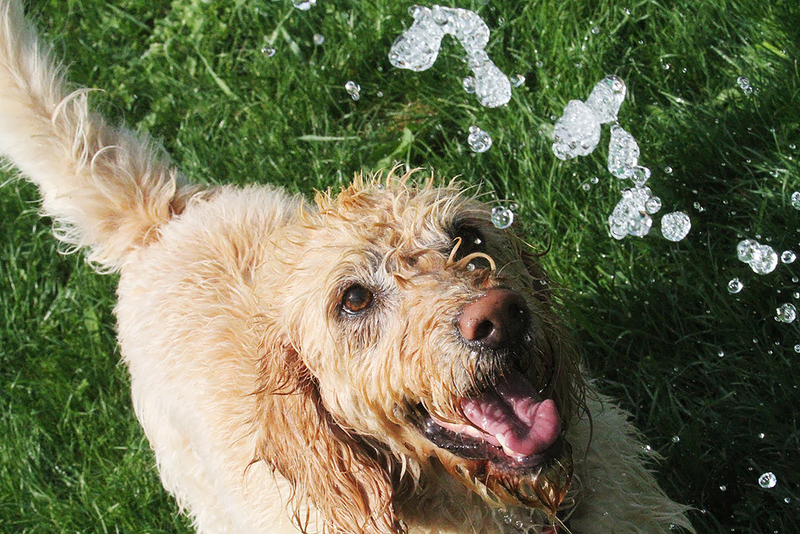 Keeping your furry family member safe and happy is our top priority. 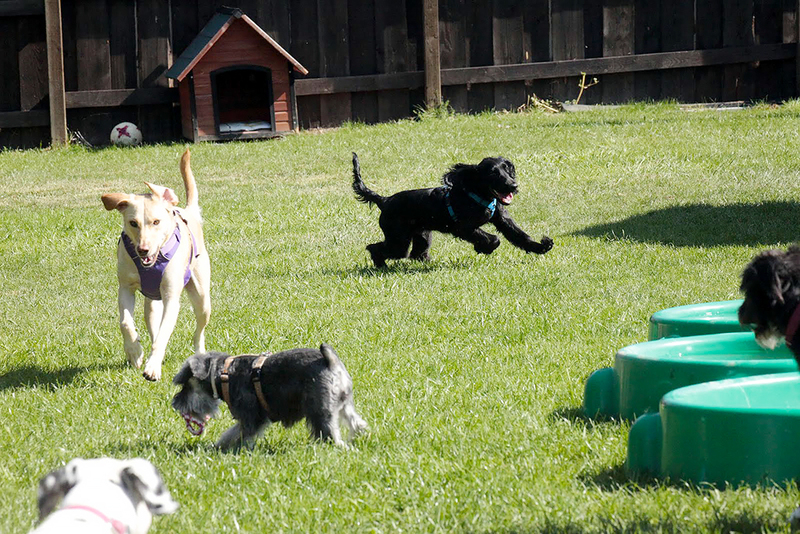 Before your dog can attend our daycare, we will conduct a meet & greet with your dog to determine if they are comfortable in our open play environment. Your dog’s safety and comfort is our number one priority. 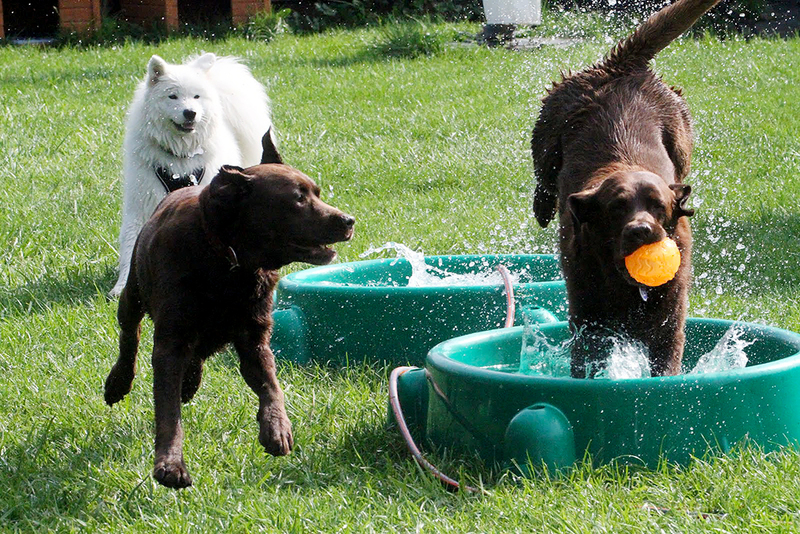 We ensure your dog will have a fun-filled day no matter what the weather may bring! When the weather gets too hot, cold or rainy we take the fun inside to our indoor play area. 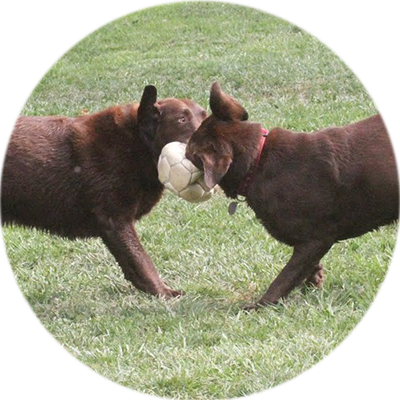 We understand that not all breeds are naturally suited for outdoor play when the weather gets cooler. 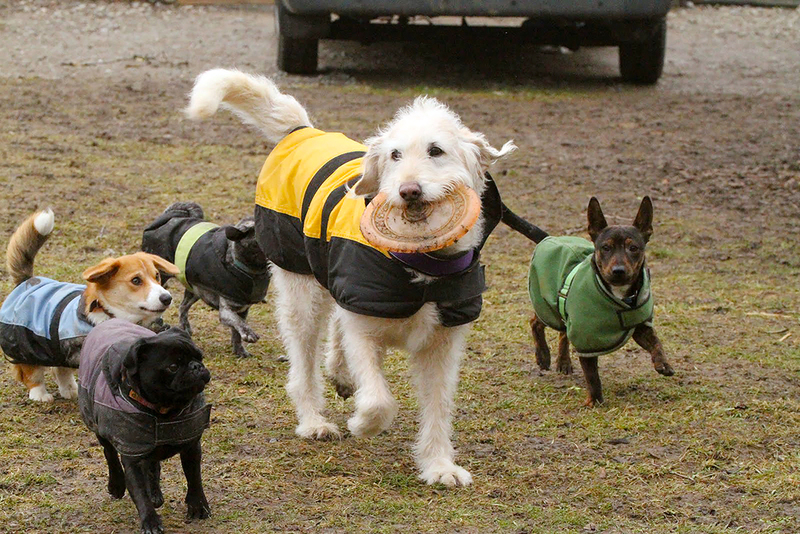 That’s why we provide high quality coats for your dog to wear so they can play around outside with their friends in comfort. 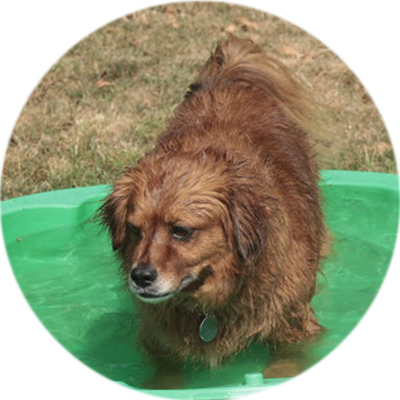 On sunny summer days, we fill up our pools for those who love to splash around and provide plenty of shaded areas for dogs to take a break in. How old does my puppy have to be to join? Puppies must be at least 12 weeks old and must have completed the necessary vaccinations. The amount of overnight guests is very much limited. We do try provide overnight and holidays for our regular customers (mean they regularly attending day care). We will provide holidays for extra customers if there is availability. Please book in advance, especially if is going about period of school or national holidays . Where does my dog stay when he stays overnight? We love and care for our furry clients as if they are our own. That is why we believe in cage free overnight stay. 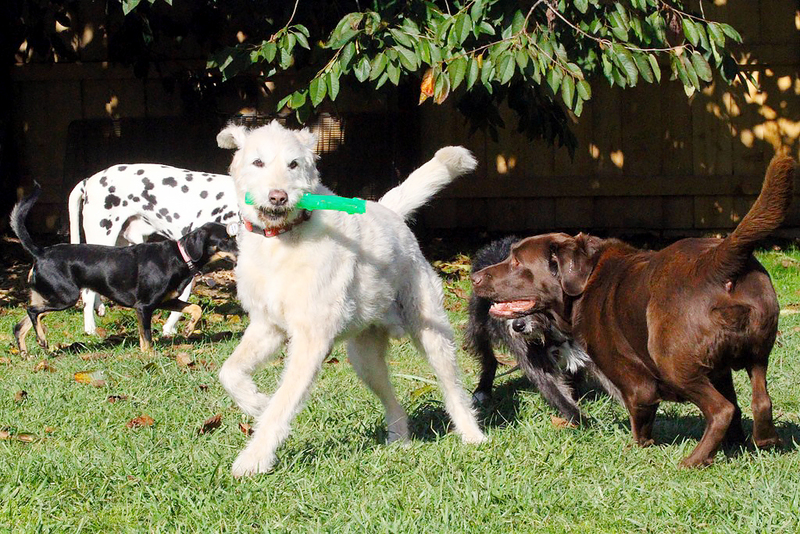 After a full day of play, we will bring your dog home with us to stay the night in the comfort of our home. 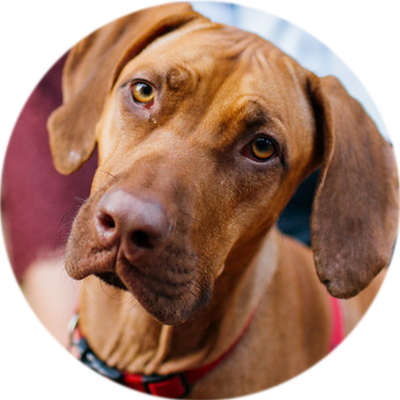 What do I need to bring when my dog is boarded? We have plenty of comfy beds and blankets, but you may bring a blanket that will make your dog feel “at home” with. Please know that sometimes they may chew their own bedding and we are not responsible. To avoid upset tummies, we recommend owners provide their own dog food. A sudden change in your dog’s diet can cause an upset stomach. When you drop off your dog in the morning, they are excited and ready to play! Please make sure you feed them breakfast in the morning so they can have fun once we arrive to our play areas. For our puppy and young furry clients, you may pack a lunch for them. To prevent upset tummies we recommend owners provide their own dog food. A sudden change in your dog’s diet can cause stomach upset creating great discomfort for your dog. We do provide our own food for an additional charge – CHF 5. If you need to cancel your reservation, please call or email us to let us know. Please note though, due to high demand and the limited spots for our furry guests we do implement the following cancellation policy. This opens up spots for dogs that need care who might have otherwise been turned away on a busy day. 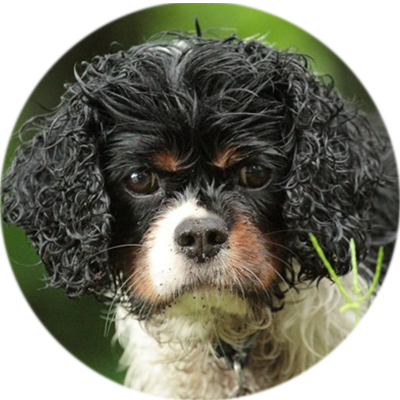 What vaccinations does my dog need to attend? Your dog needs to be current on their vaccinations. We strongly recommend that dogs have an extra vaccination against Bordetella (the vaccine for kennel cough), especially in the autumn and winter. We also request that all dogs be on some type of flea preventative.